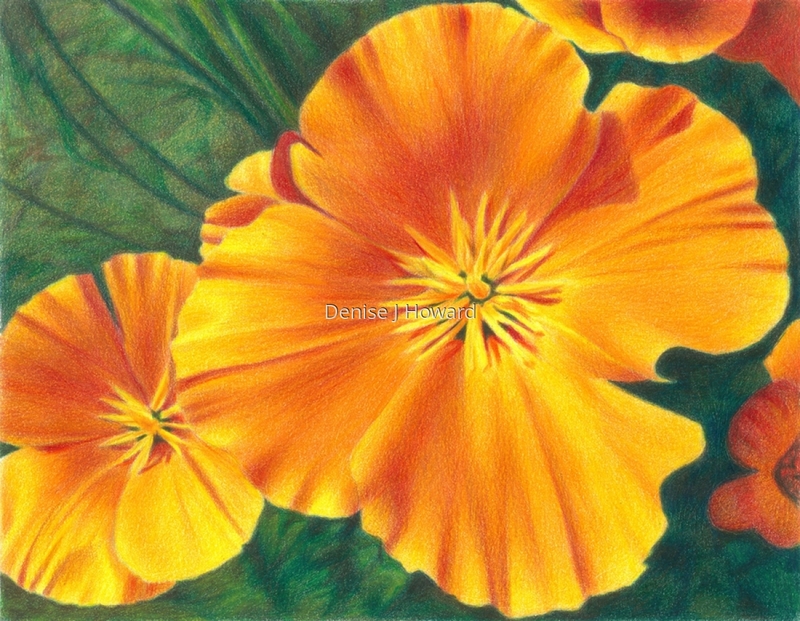 The delicate texture of a California poppy blossom contrasts with its bold color and hardy character. Colored pencil on illustration board. Accepted to "In the Garden" at the Pacific Art League, Palo Alto, CA, 2011. 5" x 6.5"9" x 11.625"